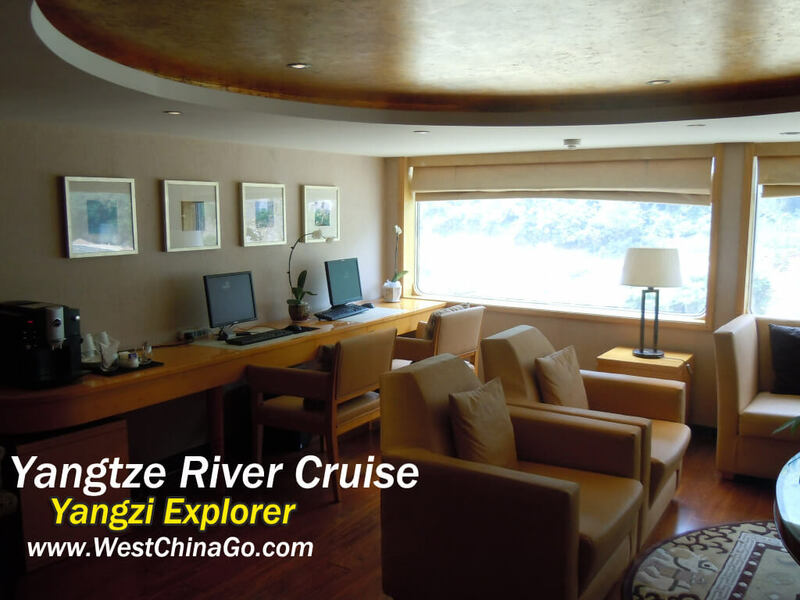 The Yangzi Explorer was built in 1995 and refurbished in 2008. 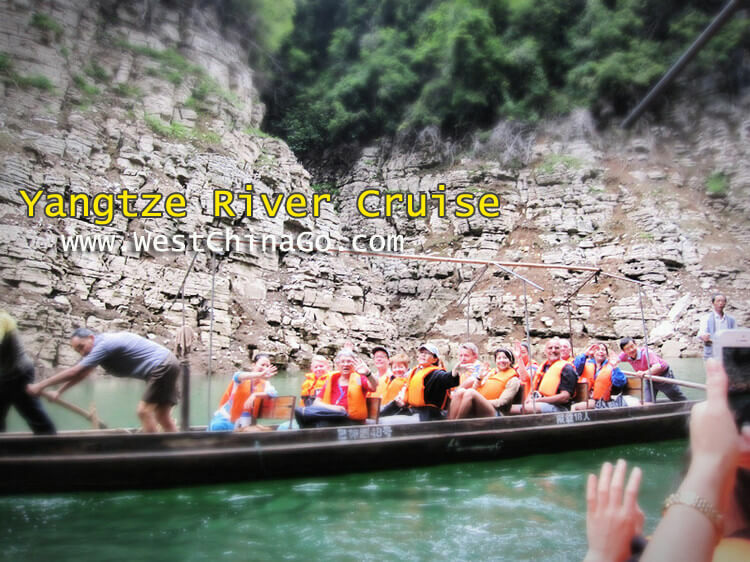 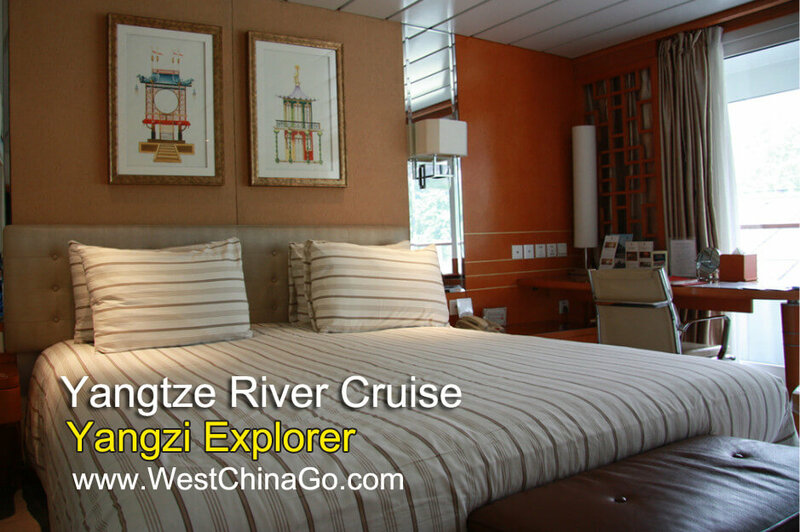 It’s a 5-star luxury vessel that is one of the smallest that operates overnight cruises on the Yangtze River in China. 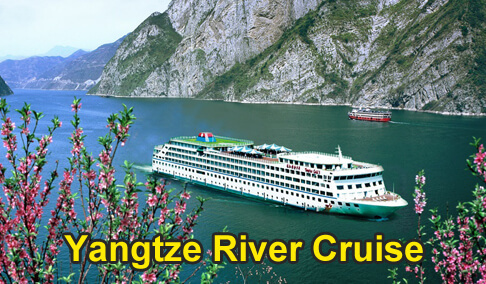 The 300-foot long vessel carries 124 passengers and 130 crew members. 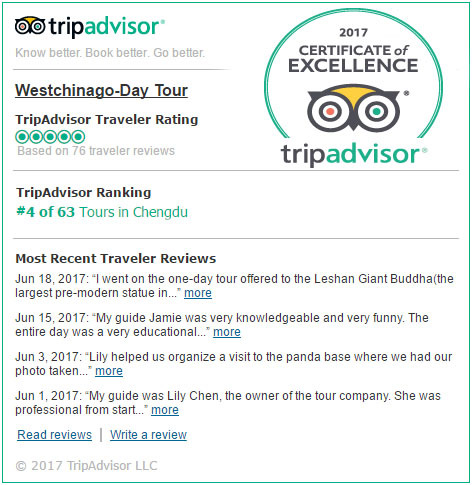 That’s not a typo either. 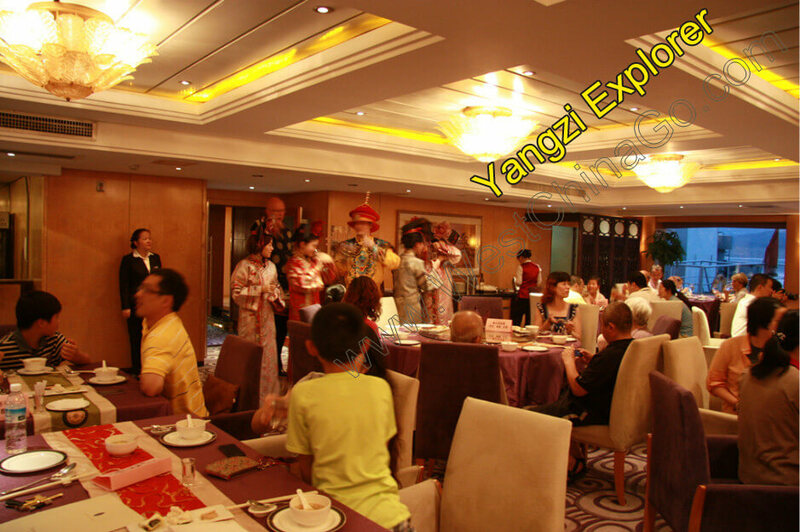 Yes, there are actually more crew members than guests. 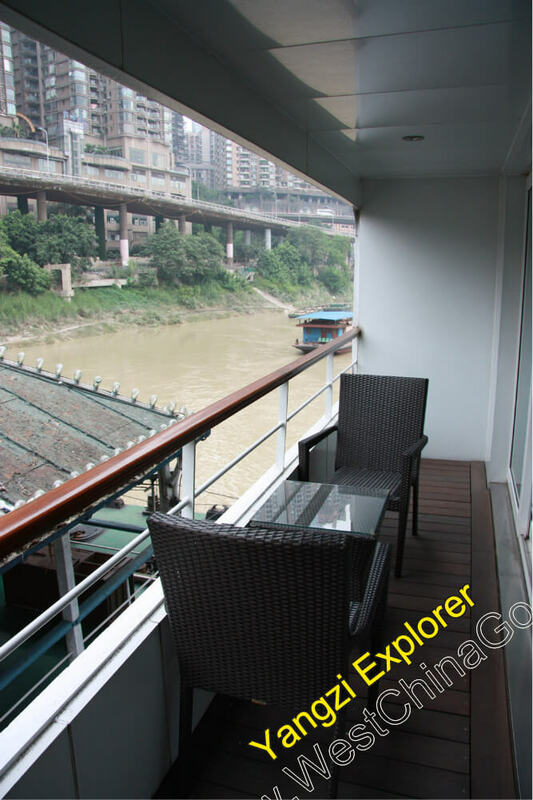 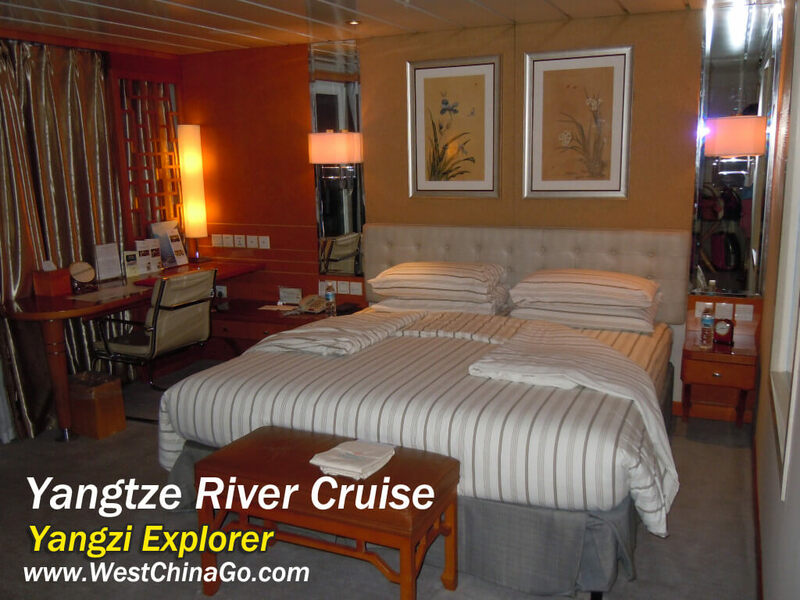 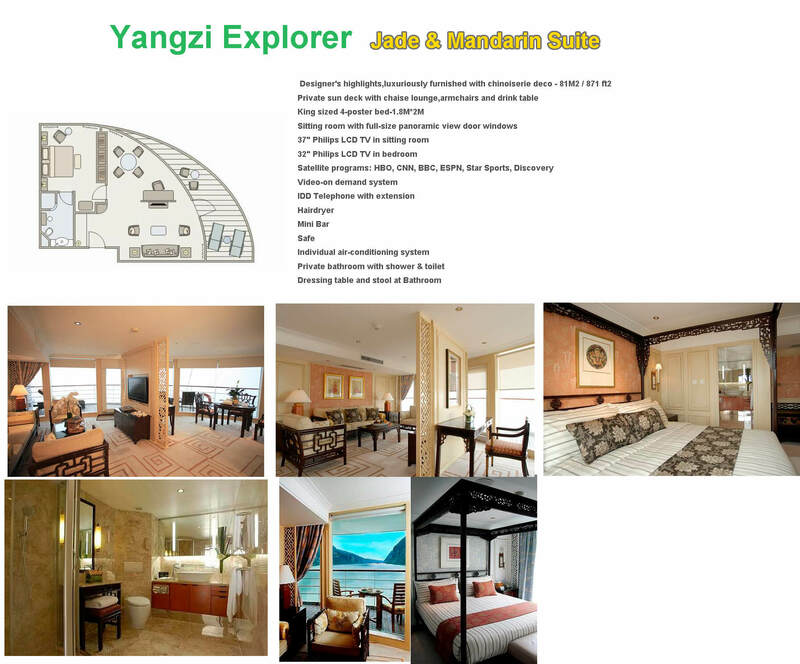 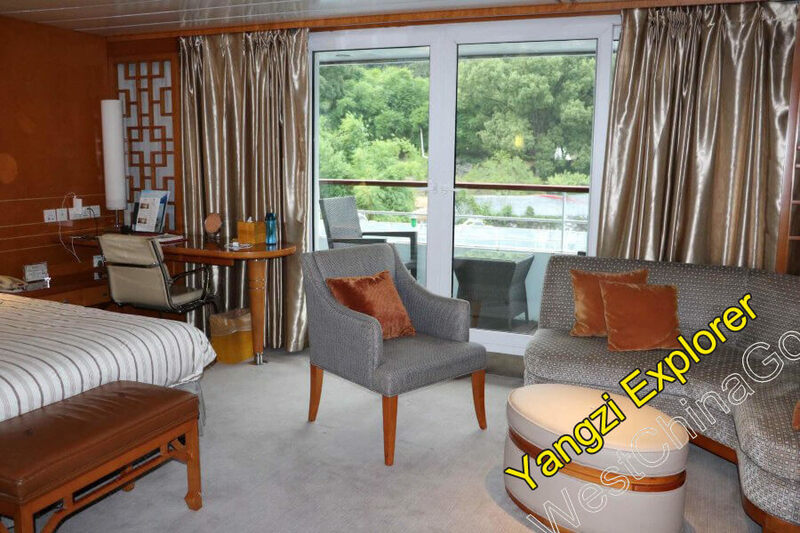 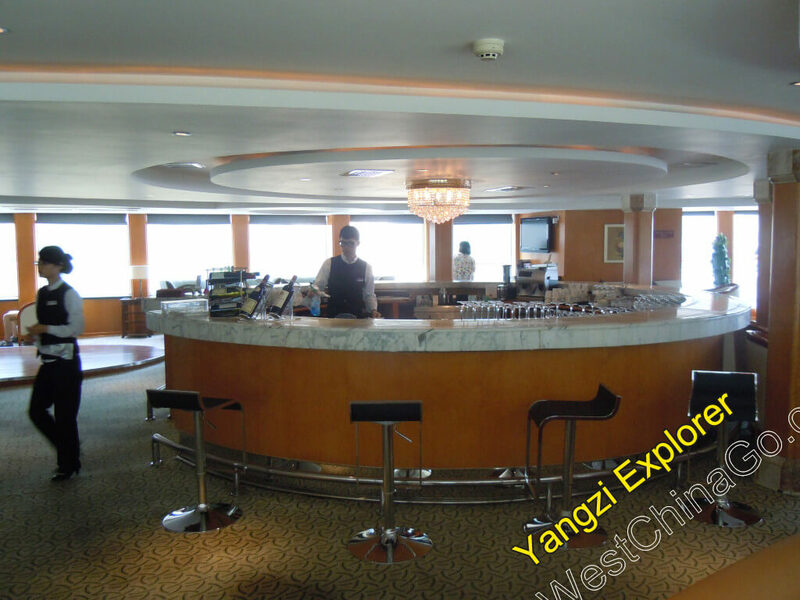 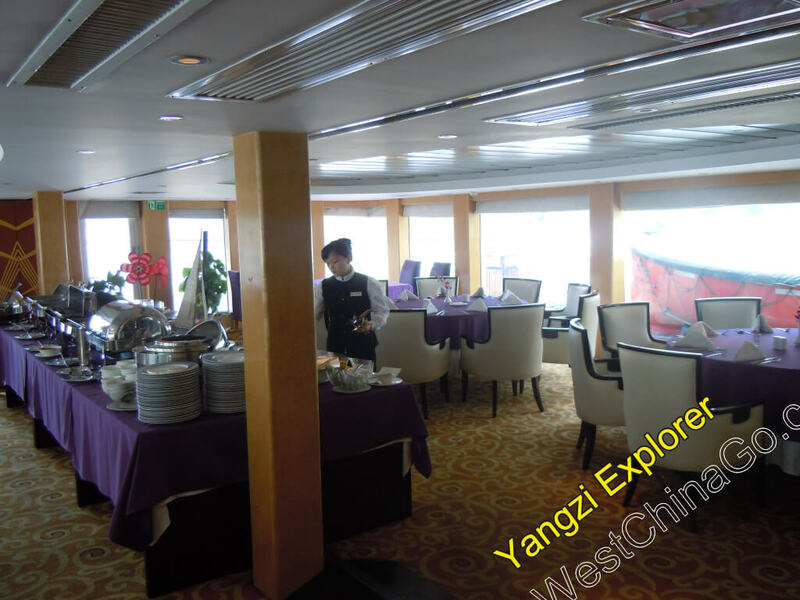 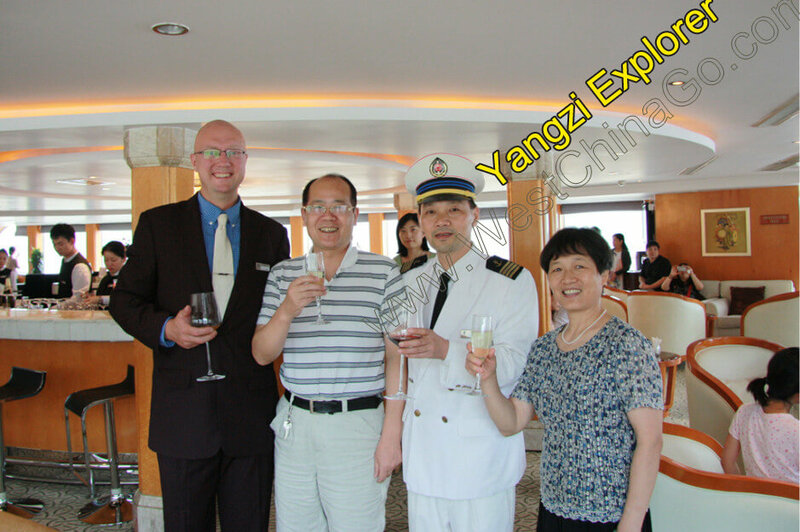 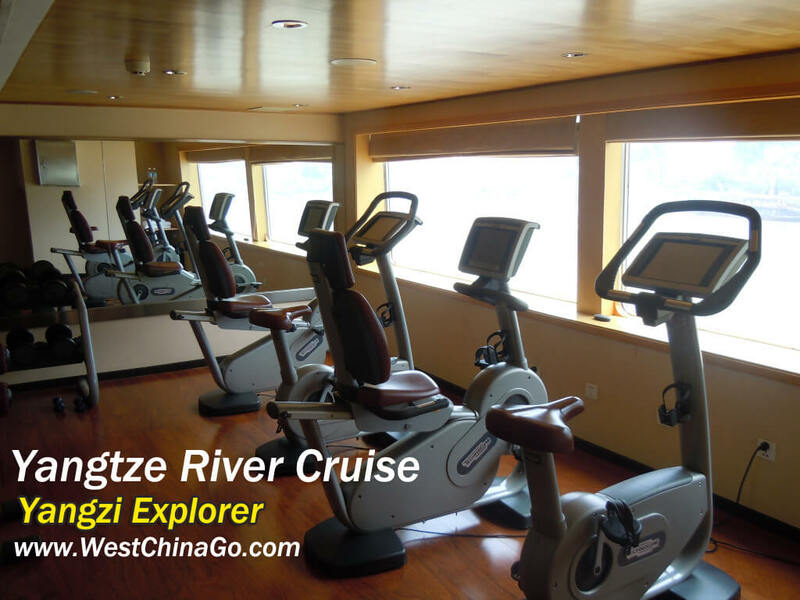 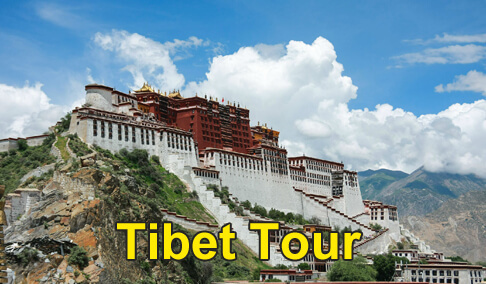 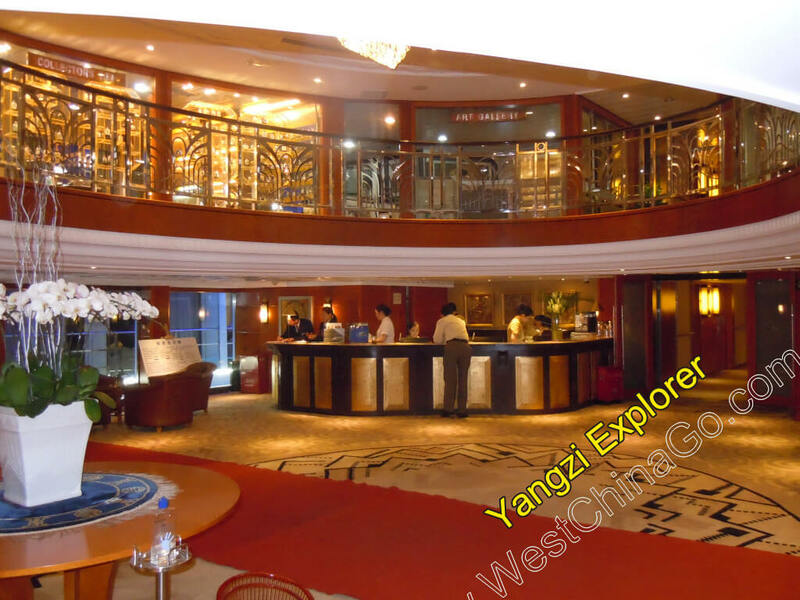 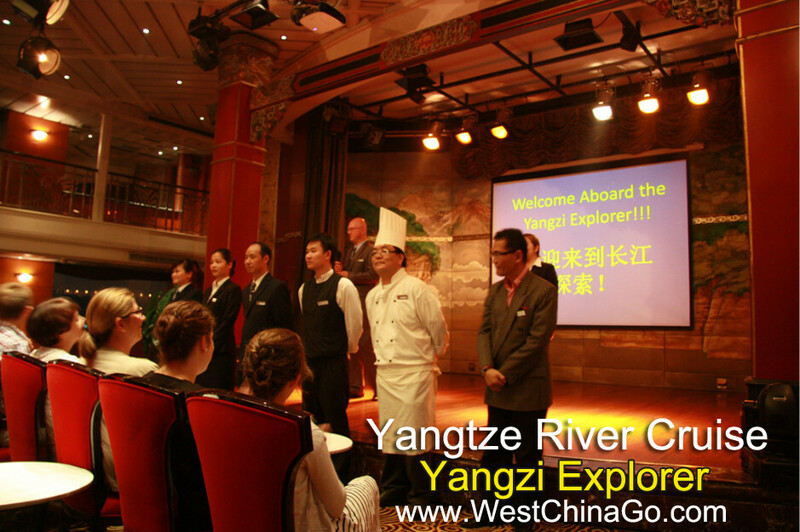 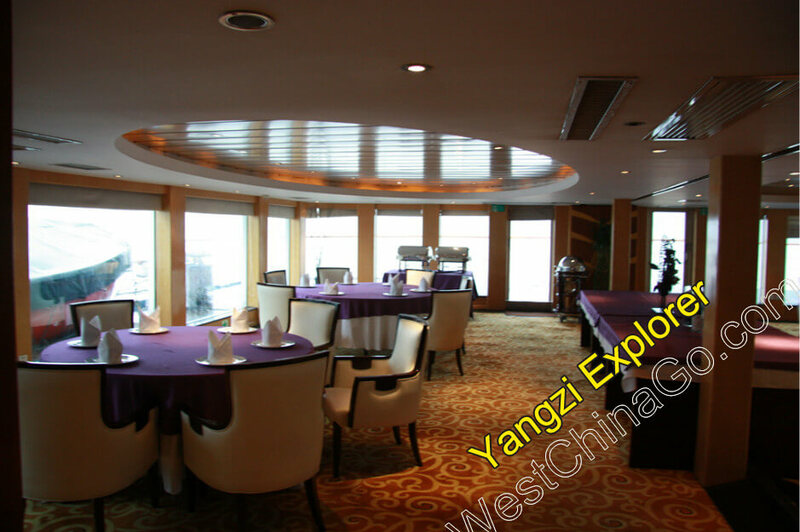 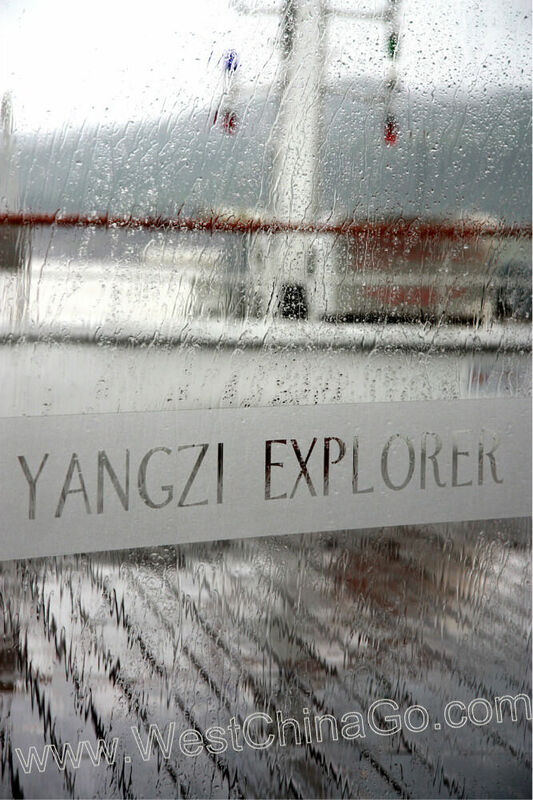 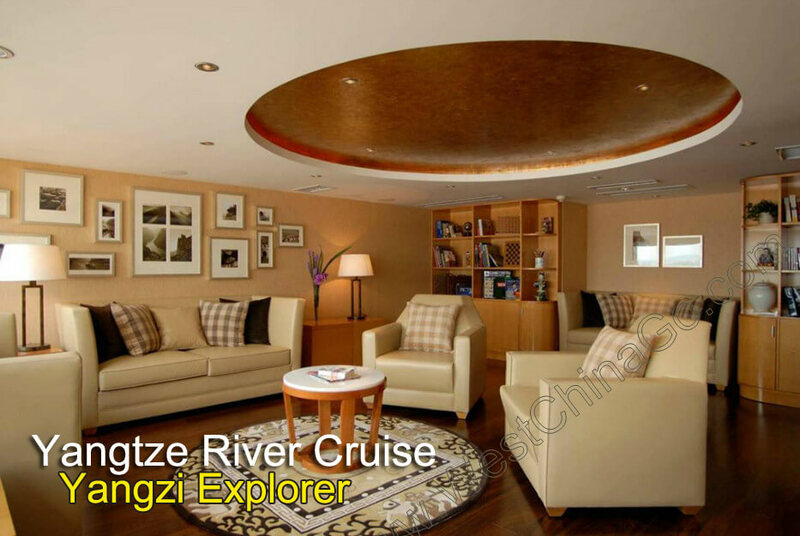 There are 5 passenger decks aboard the Yangzi Explorer, and 4 of the decks have staterooms. 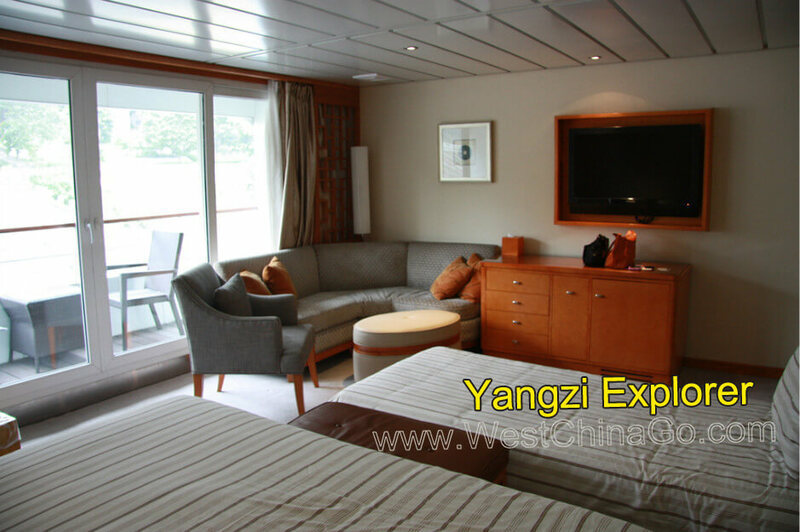 Staterooms are very spacious ranging in size from 333 square feet to 1183 square feet. 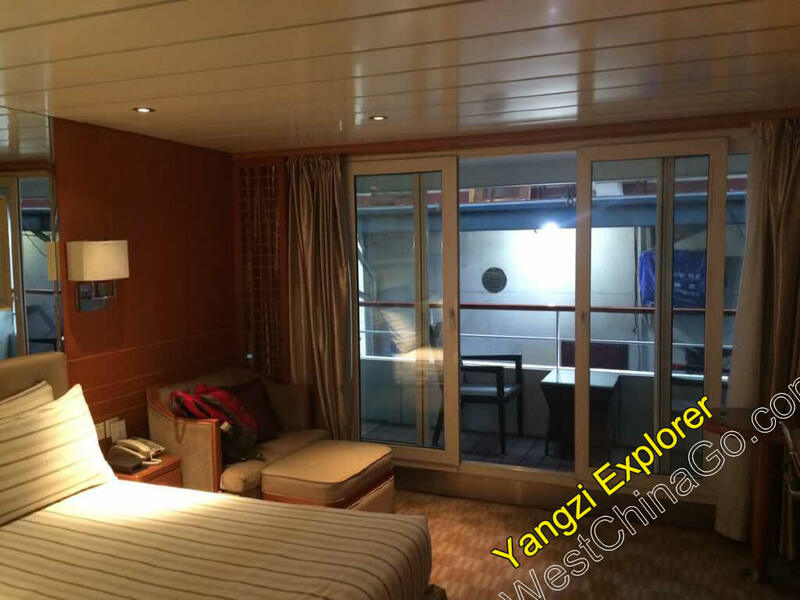 As another added bonus, 100 percent of the staterooms have balconies. 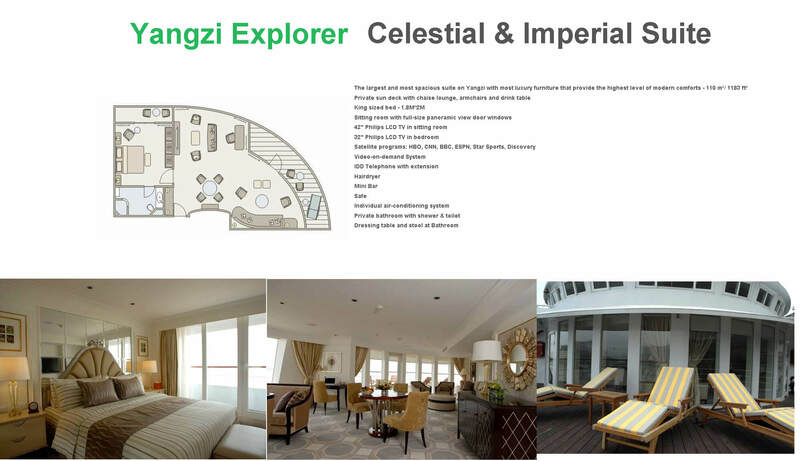 In addition to its luxury accommodations, the Yangzi Explorer also features an Espresso Bar, the Tang Theater, a Medical Clinic, a Spa & Massage Room, a Fitness Center, a Beauty Salon, a Library and Boutique Shops in addition to its Main Dining Room and the Explorer Bar. 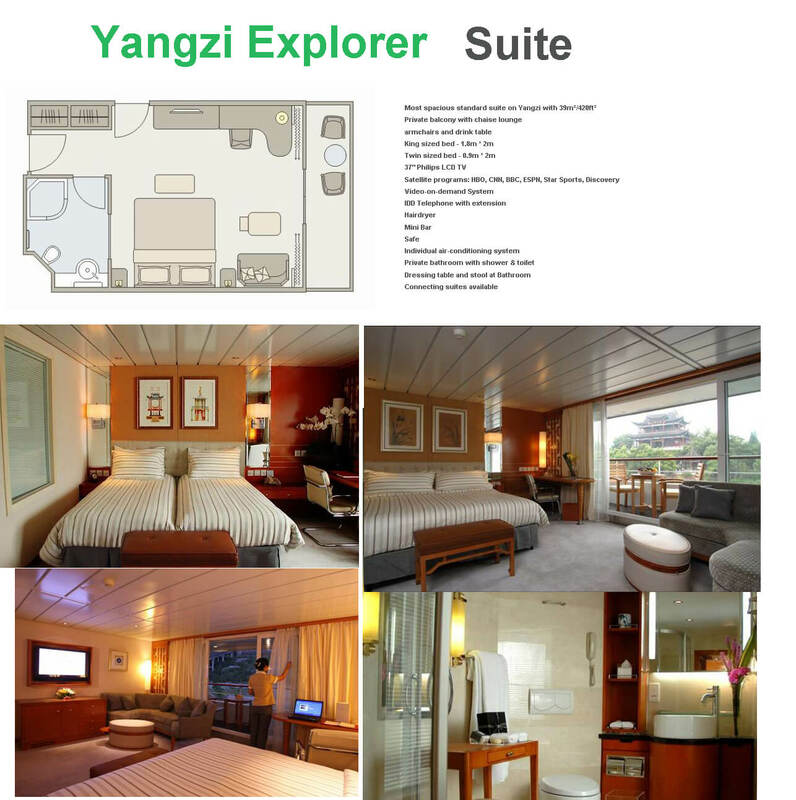 Laundry Service is available (there may be a fee). 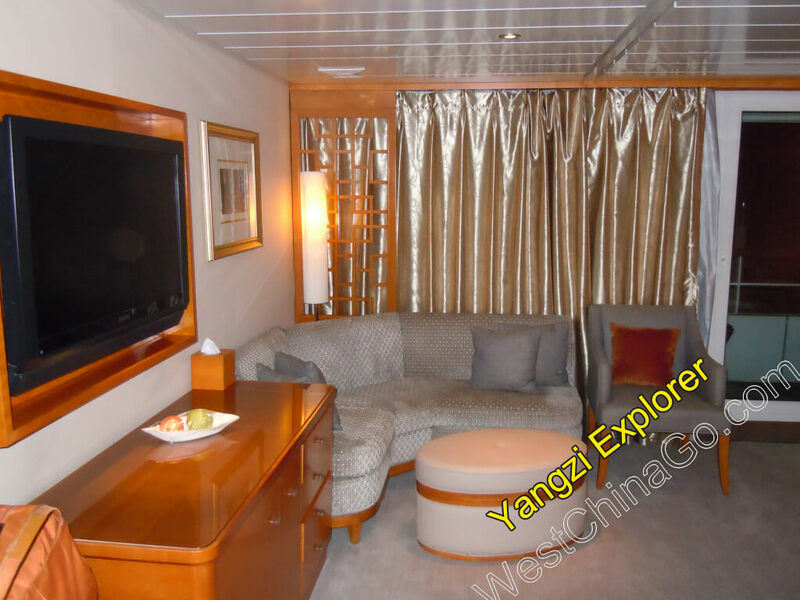 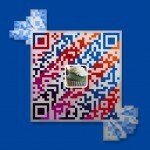 Free WiFi is available onboard. 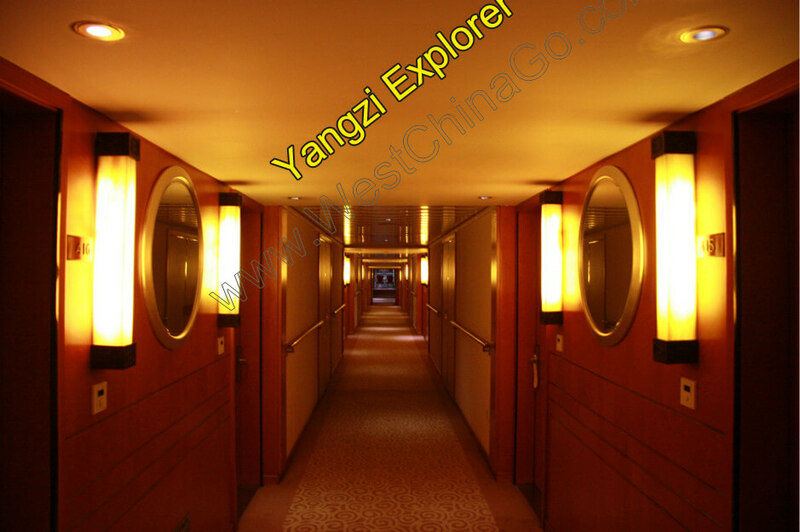 All staterooms aboard Century are fitted with 220 volt, European style two-prong plugs.North American cruisers should bring an adapter, such as the Samsonite Europe Non-Grounded adapter.Citizens of many countries are required by the Government of China to obtain a visa in addition to their regular passport. 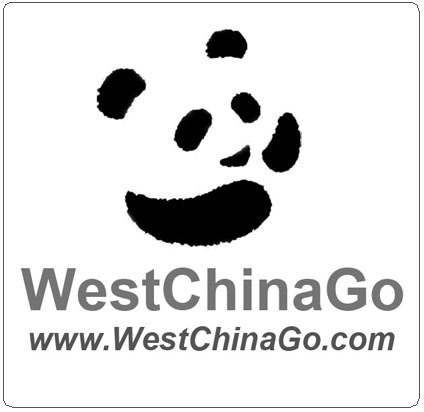 All passports must be valid for six months from the date of return. 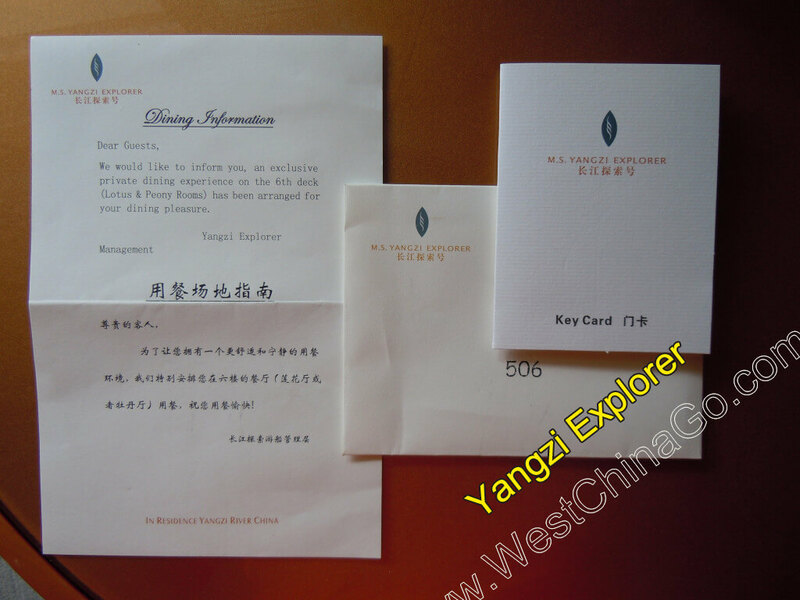 Obtaining these documents is the responsibility of the guest.